Parenting by any method is anything but easy. We are charged with nurturing the mental, social, physical, emotional and spiritual well beings of these amazing little humans – that’s a lot of pressure for anyone. As natural parents, we perhaps place even more pressure upon ourselves to be responsive to our families. We strive to anticipate their needs and respond with love and gentleness – even when our emotions may try to dictate otherwise. We do what comes naturally to us, yes, but nurturing the deep bond that we forge requires an incredible investment of time and emotional capital. Some natural parents have the added pressure of defending their parenting choices to doubting families and friends. Natural parenting can be as challenging as it is rewarding, and after a tough day, week, or month, it can be tempting to let go of our ideals for quick fixes and easy answers. Who hasn’t at least considered making television and Happy Meal night a regular commitment? Who hasn’t gone through a phase where their interest has waned? And who hasn’t asked themselves: Is this commitment to natural parenting really worth it? Stop. Deep breath. It is easy to get burned out on anything that takes up so much of our energy and attention. But before you give up, let’s talk about some ways to get your natural parenting mojo back. Think back to what got you interested in natural parenting: Was it a book? A chat or a message board? An interaction with another natural parent? Or did it just become a seamless extension of something you were already doing, like babywearing or cloth diapering? Did you grow into your parenting role gradually, or did you jump in with both feet? Visualize those “roots” of your natural parenting experience. Did you find yourself yearning to learn more about the other aspects of natural parenting? Did you even use that label? Allow yourself to relive those feelings and enjoy those memories. Taking yourself back to a place where you found inspiration can be invigorating. Some of us are lucky to have natural parents in our social circles – and they can be an amazing resource. Get in touch with them, as they can be a great source of inspiration and a great reminder of what drew you to natural parenting in the first place. For the many of us who don’t know any other natural parents socially, that perceived lack of connection with like-minded others can go a long way toward discouraging us from living up to our parenting ideals. Even if you are the only natural parent you’ve ever met, you are far from alone: there are so many natural parents active on networks like Twitter and Facebook. Strike up a conversation; ask a few questions. Sometimes just having a little casual chat with someone who shares your passions is enough to ignite the flame of inspiration once again. The web is full of great natural parenting websites, starting with the Natural Parents Network and its fabulous blogroll. 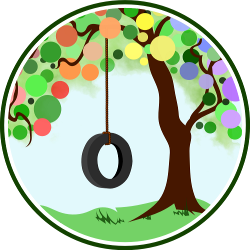 The Carnival of Natural Parenting is a monthly blog carnival themed around different natural parenting topics. The Carnival has dozens of natural parenting writers and is both inspiring and informative. The #CarNatPar Daily is a daily compilation of links and articles from the writers who participate in the Carnival of Natural Parenting. An interesting topic can go a long way to reminding you why you do what you do for your family. No, natural parenting isn’t about the “gear,” but sometimes a little new gear can motivate. A personal story makes a great example here: I found that I was getting frustrated with babywearing. I loved my ring sling, but my toddler was becoming more and more difficult to wear in it – we just couldn’t find a good groove together, and at one point I sadly stopped wearing him altogether. Then on a whim I tried a BabyHawk Mei Tai carrier, and the romance was back. I was wearing my son every chance I got. Shopping isn’t always the answer, but sometimes, it is. 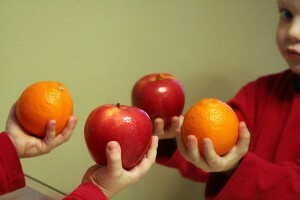 It is easy to compare ourselves to other parents. Your coworker had a perfect pregnancy; she blossomed into an amazing mother and she does it all with ease and grace while you struggle and stumble. Don’t fall into the trap of comparing yourself to someone else. There’s just no comparison; your life is your own just as hers is her own. You can only ever be the very best you, and trying to be someone else will only make you a poor copy. Be your own standard, and embrace that standard. 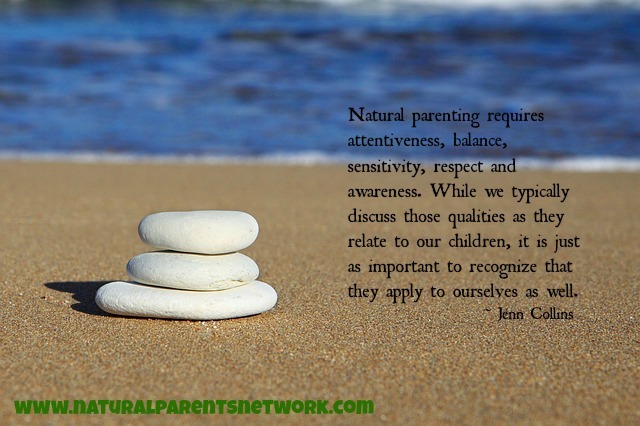 Natural parenting requires attentiveness, balance, sensitivity, respect and awareness. While we typically discuss those qualities as they relate to our children, it is just as important to recognize that they apply to ourselves as well. Pay attention to your own feelings and needs. Respect them, and allow yourself to feel your genuine emotions. Admitting that being a parent is hard doesn’t make you bad or unqualified. Quite the contrary: it means that you are able to identify your frustrations and you can give yourself room to express them in a healthy way. Sometimes a temporary change of pace, change of scenery, or change of philosophy can bring you closer to your roots. If you need a break, by all means, take a break. Give yourself the respect you strive to give your children and family. You’ll be a better parent for it.